They say that hell hath no fury like a woman scorned but the same should apply to men as well. 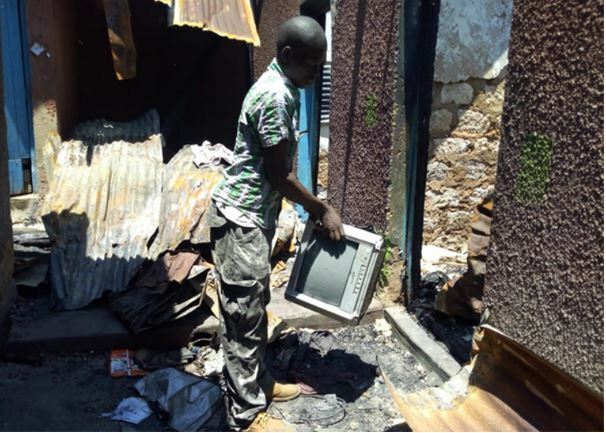 This is after a man caused millions worth of damages following the razing down of 12 houses in Changamwe, Mombasa. 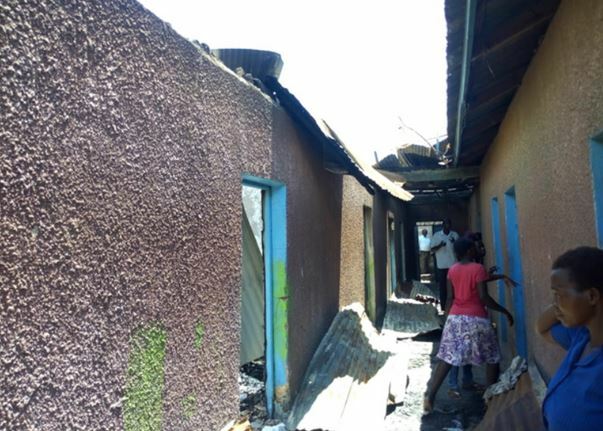 The suspected arsonist is said to be in his late forties and a sugar daddy to a young woman living in Magongo area. Reports indicate that the ‘Sponsor’ arrived unannounced at her lover’s house on Tuesday night hoping to get down and dirty. He, however, got the shock of his life when he found his Pretty Young Thing, said to be in her 20s, getting nailed by a younger-looking lover. 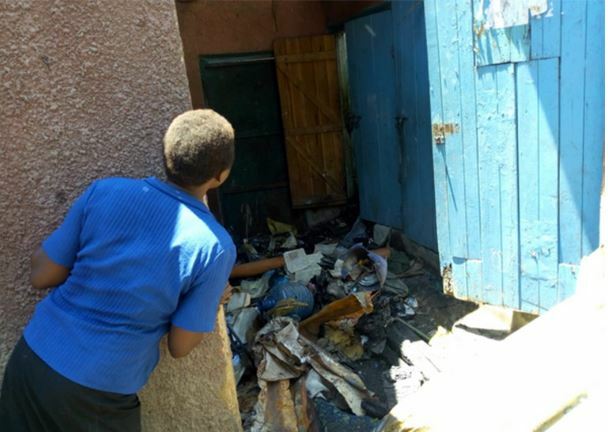 Enraged by the discovery, the man set a mattress on fire that spread to other units in the neighbourhood, causing destruction. The woman’s neighbour, identified as Hamisi Kaju, said that the sugar daddy attempted to lock his cheating lover and her side piece in the house but they overpowered him. “The woman’s sugar daddy was heartbroken when he arrived at his lover’s house and busted her getting cozy with another man. He got angry and set a mattress on fire. 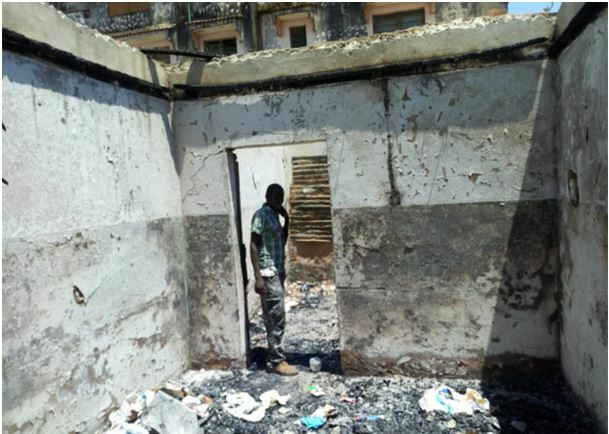 The inferno got bigger, bringing down the house and 11 other units on the same plot,” said Mr Kaju. “The ‘sponsor’ wanted to lock the house from the outside and burn the two lovers. His plan failed, as the lovers overpowered him when they pushed their way out,” added Mr Kaju. “The scorned sugar daddy then sent his lover a message, saying: ‘Come back as fast as possible. If you don’t, I will set your house on fire’. The woman did not return, triggering the ‘sponsor’ to make real his threat,” he said as quoted by Citizen Digital. 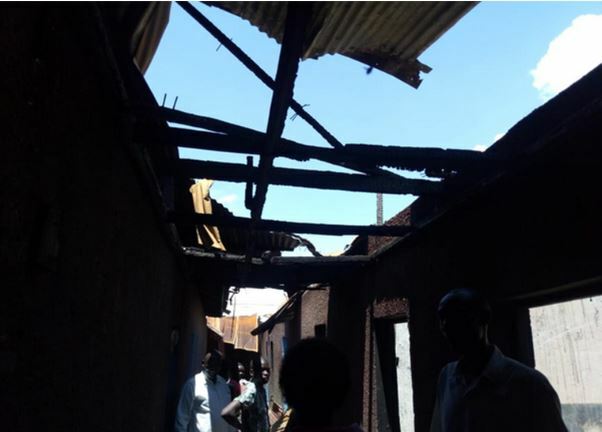 Another neighbour, identified as Merisha Anyango, said her business premise and merchandise were completely destroyed in the inferno. “The fire resulted from love gone sour and a thirst to date more than one man simultaneously. I am urging young women to put their lives in order to avert such losses. 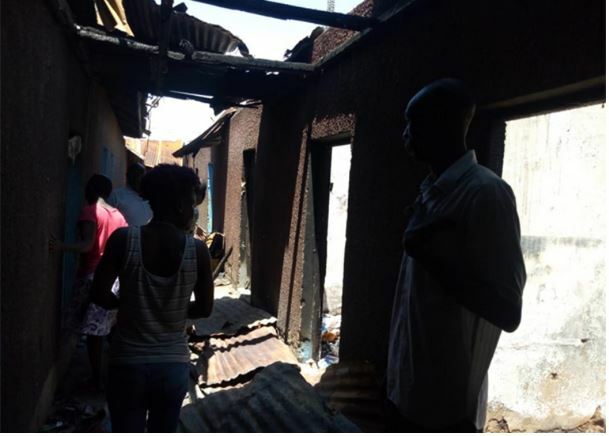 One of the burnt units was a shop that I was depending on for livelihood,” said Ms Anyango. “Women should put their lives together. ‘Double-dealing’ men is very costly. 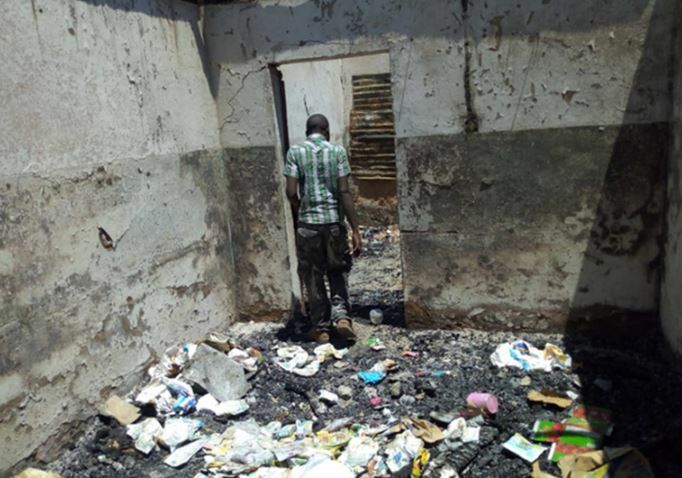 Now look at this case: this man set a mattress worth Ksh3, 000 on fire, and, as a result of that, other people lost property worth millions [of shillings],” said yet another neighbour. The cheating woman has since recorded statement at the Changamwe Police Station and a manhunt launched for the sponsor who remains at large. No injuries were recorded from the fire incident.